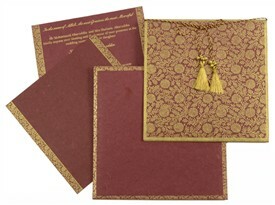 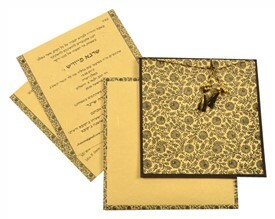 D-192, Brown Color, Handmade Paper, Designer Multifaith Invitations. 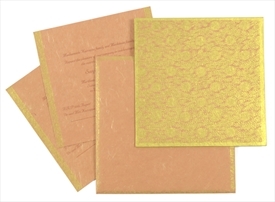 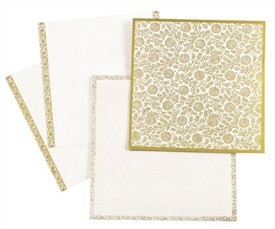 This specially stylized wedding card design gets in tune with your celebrations as its tinkling sound with silken tassel having golden bells leaves you spell bound. 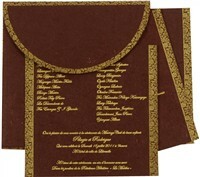 The front has overall floral base in gold.The docket has golden border. 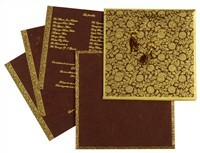 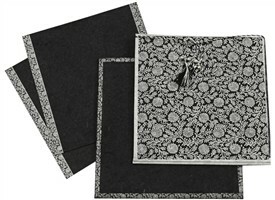 The inserts have floral strip borders. 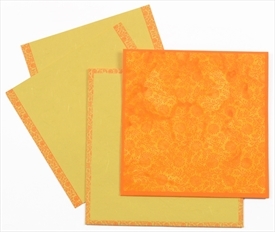 The envelope has a similar border design.